See below for instructions on how to make a kite. Great for kids, Cub Scouts, Beavers, Boys Brigade, and parties. 1) People were flying kites 1,000 years before paper was invented. 2) There are over 50 million kites sold in the USA every year. 3) The smallest kite in the world which actually flies is 5mm high. 4) The largest number of kites flown on a single line is 11,284, this record is held by a Japanese kite maker. 5) The longest kite in the world is 1034 metres (3394 ft). 6) The largest kite in the world is the Megabite 55 x 22 metres (630sq metres). 7) The fastest recorded speed of a kite is over 120 mph. (193 km/h). 8) The record for the highest single kite flown is 3801 metres (12,471ft). 1) For centuries kites have been used in wars and battles, for signalling, lifting observers, target practice, as barrage kites, dropping propaganda leaflets etc. 2) When the Japanese were building some of the early temples and shrines they used large kites to lift tiles and other materials to the workmen on the roof. 3) The fastest crossing of the English Channel towed by kites was 2hrs 30min by a team from Flexifoil International in 1999. They would have done it in 2hrs if the French Coastguards had not stopped them 1/2 a mile from the French coast. 4) In 1826 there used to be a stage coach service between London and Bristol using kites instead of horses. 5) Kites have been used for centuries for fishing. 6) Kites are used for bird scaring, forecasting the weather and frightening evil spirits away. 7) The world record for the longest 'kite fly' is 180 hours. 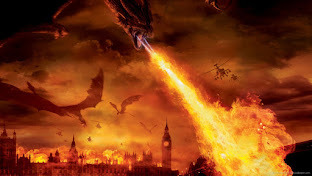 Part Three - Who would ban a kite? 1) Kite flying was banned in China during the Cultural Revolution, anyone found flying a kite was sent to jail for up to three years and their kites destroyed. 2) Kite flying was banned in Japan in 1760 because too many people preferred to fly kites than work. 3) More adults in the world fly kites than children. 4) The Chinese name for a kite is Fen Zheng, which means wind harp. The name is derived from early Chinese kites which used to carry wind musical instruments. 5) Approximately 12 people are killed each year in kiting accidents throughout the world. 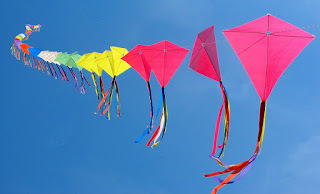 1) In the Orient, kites are given to someone to bring them happiness, good luck, prosperity and cure illness. 2) Lord Baden-Powell (The founder of the scout movement) did lots of successful experiments with man lifting kites. 3) Samuel Franklin Cody who invented the Cody man-lifting kite system was the first man to cross the English Channel towed by kites in 1903. 4) Benjamin Franklin used a kite to prove that lightning was electricity. 5) In 1847, a young boy won a competition to fly and land a kite on the other side of the Niagara River. They then used the kite line to pull larger cables over the river, enabling them to start work on building the first railway bridge between Canada and the USA. 6) In the Second World War the RAF issued pilots with a 'rescue kit' comprising a dingy and a folding box kite called a Gibson Girl which enabled them to send an SOS message from a portable transmitter with the kite line acting as the aerial. 1. Prepare two sticks by making a small groove across the top and bottom and then wrapping tape around both. 2. Place the two sticks on top of each other in the shape of a cross. The horizontal stick should be a quarter of the way down the vertical stick. This will make a diamond shaped kite. 3. Secure the two sticks together using tape and string. 4. Wrap string around the four corner edges of the sticks, securing with tape on all edges. 5. Place structure on top of a plastic bin bag. 6. Cut the bag into the shape of the kite. Make sure you make it about an inch bigger than the structure. 7. Fold the extra inch of bag over the structure of the kite and secure with tape. 8. Tie a good length of string to the centre of the cross of the kite. This will be what you fly it with. 1. Cut rags into six inch strips. Between four and eight strips will suffice. 2. Tie the rags to a length of string, in the centre of the strip of rag, evenly spaced apart. 3. Secure newly made tail to the bottom of the kite. Congratulations you just made a kite. Now, let's go fly kite, up to the highest height and watch it soaring.